Water pavilions for up to six people with their own jetty on the Bergumer lake in Friesland. Netherlands | Open the front door and off you go. 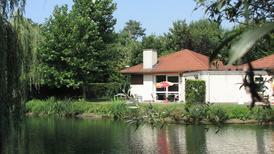 Fun on, beside, and with the water is clearly a priority with these holiday homes near the shore. 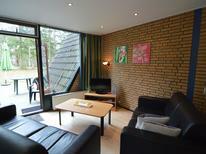 This holiday home is located in the little yacht harbour of Enkhuizen and has received 23 positive reviews to date. Whether you’re on the coast or in the country’s interior, a picturesque little resort, or a family-friendly holiday park – we hereby present you with the best-rated holiday homes and apartments. The Netherlands | With these holiday houses it is explicitely allowed to bring pets so that your faithful four legged friend can also enjoy a relaxing and eventful holiday. 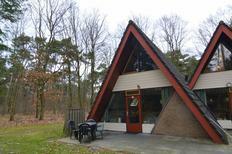 Holiday house for 6 people in a holiday park Zeeland. The Netherlands | Parents can relax and unwind whilst their children are taken care of and entertained in a holiday park or holiday residence. The ​Netherlands | Travelling together is always a great experience. In our extra large holiday houses with at least six bedrooms one can go on holiday with the entire family and take friends with you too. How about something a bit unusual? A sailing ship with space for 30 people. The Netherlands | Are you seaworthy? Here you will find houseboats, sailing vessels, pontoon houses and everything else that floats on water. 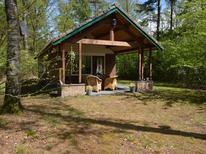 Holiday home for 6 people in a holiday park in North Holland, directly behind a dyke. ​Dutch coast | Fine sand and perfect infrastructure characterise the endless beaches from Zeeland to Frisia. Therefore ideal conditions for your next holiday. 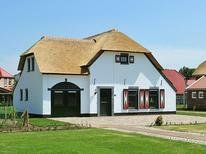 Holiday home for six people at the beach of Noordwijk aan Zee. ​Dutch coast | Feel the sand under your feet, listen to the breaking of waves and gaze over the sea: All this you can experience in a beach house along the North Sea. 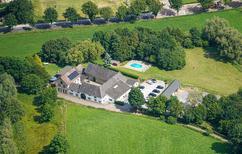 A holiday house in Limburg costs on average USD 683 in the cheap travel period and USD 1,167 in the peak season per week. These details are of course in relation to the house and not per person as well as includes the obligatory additional charges. Situated on the border between the Netherlands, Belgium and Germany, the Burgundian province of Limburg in Holland is characterised by its gentle hills and a predominantly Catholic population who converse in the local dialect of Limburgish. 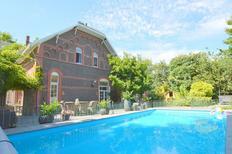 Holiday homes, holiday apartments, holiday houses and holiday rentals are in plentiful supply throughout the region. 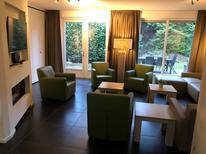 While you book a holiday home in Limburg be sure to sample Vlaai, a pie with a fruit filling, as well as the local beers, Alfa and Gulpener and the regional wine and cheese for which the area is famous. A nostalgic ride by steam engine on the ‘One Million railway’ from Simpelveld to Valkenburg is a popular excursion. Situated on the river Maas and within walking distance of Belgium, Maastricht is the oldest city in Netherlands. In Maastricht travellers can visit the ancient basilica as well as a wide variety of museums and the famous Mount St. Pieter. The "Diözesane Zentrum St Nikolaus", the bishop's residence, is also well worth visiting. The Vrijthof town square hosts several autumn and summer festivals including the carnival when the whole town stays up all night for the festive parades. The Preuvenemint, a 4 day culinary extravaganza, and TEFAF, the annual arts and antique fair, are important cultural fixtures. Situated in the vicinity of Roermond, Limburg's other attractions include the white village of Thorn and the GaiaPark Kerkrade Zoo. Limburg's lush meadowlands are perfect for hiking and cycling and equipment is easy to rent nearby when staying at a holiday rental, holiday house or holiday home in the area. Other fun activities include hot air balloon rides which provide interesting aerial views of the landscape or a mountain bike tour through the underground marlstone caves in Valkenburg. Alternatively you can take a trip to Mosaqua, a tropical indoor swimming pool in Gulpen where the Thermae 2000 Spa has a temperature of 32 degrees celsius. 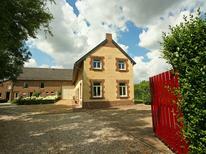 Promising cultural as well as culinary adventures a holiday rental in Limburg has something for all the family.